Leventhal Law Group is a New York City-based law firm that focuses its practice on civil rights, criminal defense, and personal injury matters. Conveniently located in Brooklyn, the firm serves clients in all five of the city's boroughs, including Manhattan, Brooklyn, Bronx, Queens and Staten Island. 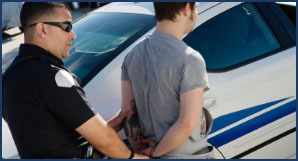 The Leventhal Law Group represents clients in all stages of their criminal or civil matter, and is dedicated to helping clients achieve the best possible outcome for their situation. Because we place a great deal of trust in police officers to serve and protect our community, it is an extremely terrifying experience when you become a victim of those who we expect to protect us. Police officers are not above the law. 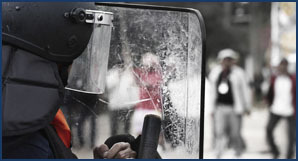 Law enforcement may only use the amount of force that is reasonably necessary in a situation. When the force used is excessive and unreasonable, the outcome can be devastating. If you have been arrested and accused of a crime, your freedom and future are at stake. Being convicted of a crime can have serious ramifications on all aspects of your life, which is why it is so important to retain counsel as soon as possible. A conviction can result in time spent in jail, probation, parole, and loss of certain rights. A felony conviction can make you ineligible for certain employment, affect immigration status, and even disqualify you from serving on a jury. If you have been injured due to the intentional or negligent action of another, you may be entitled to compensation. Personal injury actions also include medical malpractice, premise liability, and products liability and are designed to compensate a victim for pain and suffering, loss of earnings, loss of consortium, and sometimes punitive damages in the event of gross negligence. 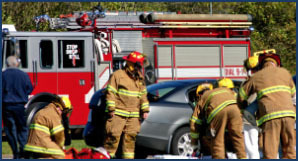 The Leventhal Law Group represents clients who have suffered injuries arising out of situations such as motor vehicle accidents, slip and falls, construction accidents, sexual assaults, defective products, and wrongful death arising from the negligence or misconduct of another. © Copyright 2019. All Rights Reserved. Jason Leventhal. Leventhal Law Group. Attorneys At Law.